We provide the best blackhead remover for home remedies and the best Korean blackhead remover products. Also an in detail the pro’s and con’s of each so you can make up your own mind on what you would like to use. Being a person to go out of the house on the daily basis and exposing your skin to the outdoor environment or sunlight, you must be aware of those little black spots that appear on your face. Especially on the area around your nose and stay there looking like balls of dirt until you take serious cleansing action about it. Those stubborn black spots are known as the blackheads. These blackheads are formed on your skin due to exposure to the harsh environment because the dead skin cells start settling in the pores appearing as hard black spots of dirt. What Does Science Say About Blackheads? Many specialists refer blackheads as only a skin condition, just like acne. It is simply caused due to dirt and oil containing a specific type of bacteria which results in blackheads. Blackheads are considered as a feature of acne. Apart from blackheads, this skin condition includes pimples, zits and whiteheads as well. However, among all these, blackheads are specified by their visibility due to the bold black colour. These spots are scientifically known as dark acne lesion because they contain the pigment that is formed by the cells of the skin, called melanocytes. It is a type of oxidised melanin. A detailed study on the blackheads reveals that they are formed due to clogging in the skin, specifically in hair follicles. There are many follicles in one’s skin and the function of these follicles is to produce a gland that helps in keeping the skin smooth. When dirt and dead skin cells start piling up in the opening, it causes small bumps and the more they are exposed to air and open environment, the darker they appear. This is why they are known as blackheads. Blackheads can be prevented and treated with the help of oil free remedies and beauty products that help in removing the oil and dead skin cells without damaging the skin further. This has to be done very carefully ensuring that no other bacteria get into the pores during the process. Different procedures can be approached to treat these blackheads. For example, there are many home-made remedies that are not only cheap but also very effective and easy to prepare. However, many people take help from beauty products that are available in a wide variety. But the ones which get the best results are the best Korean blackhead remover products. One can choose the product that is the most suitable for respective skin. While you choose the best method for it, keep in mind that the skin on your face is already so sensitive and requires extra care. Here are a few home-made remedies as well as beauty products that can help you prevent and treat the blackheads. The bubbly paste in greyish green colour takes care of your blackheads by cleansing the skin and removing them. During the process, it also leaves your skin soft, smooth and fresh. Charcoal is the main ingredient of the clay mask. Charcoal powder has exceptional properties of absorbing impurities from the skin. It is considered to be one of the best ingredients for removal of blackheads as it soaks up the dirt such as blackheads out of your pores without leaving any harsh effects on the skin. Moreover, it also has exfoliating properties that make it a good product especially for oily skin. With the help of the spatula provided to you with the mask, apply it onto the affected area. After some time, you will notice that the mask is forming bubbles. When starts forming bubbles, start scrubbing your skin gently and then rinse it with water. As a mask, it is recommended to first wash and cleanse your face with a face wash and then apply it onto your face. Due to its bubbly form, the mask feels like a massage on the skin. This Korean skin care product handles your blackheads in three simple steps! The main ingredients in this product also include the charcoal to draw out oil and dirt from your pore. Egg shell powder and egg yolk extract is used as an additional ingredient to further tighten the pores and leave your skin cleansed and smooth with no blackheads. Apply it onto the areas with blackheads and leave it for a minute or two. Take Tony Moly’s Egg Pore tightening Cooling Pack and apply it onto the same areas. This mixture contains bentonite and kaolin clay in it that works great on oily skins, tightening the pores to avoid the dirt from settling in it. For the last step, take the Egg Pore Silky Smooth Balm and make use of it to ensure smooth skin. It is used just as a primer. A primer is applied before makeup to minimise the prominent pores and openings, making the skin appear and smooth and monotone. The combination of these three products ensures effectively resulting in not only removing the blackheads but also preventing them in future. The more you start noticing blackheads on your nose, the more annoying it gets! Environment changes are causing rapid changes in the health and skin too. With pollution as a common factor now, blackheads are very common. It clogs your pores and causes acne! As a solution, the best skin care gift set you can get for your friends or yourself is the Koogis Bamboo Charcoal Tearing Blackhead Removal Mask! Black in colour and smooth in texture, this mask needs to be applied on the areas with blackheads, especially the nose. Once it’s dry, peel it off and enjoy your smooth skin! To open up the pores, place the strip on your nose. It will feel sticky and might give a burning feeling as well. However, that is a good thing and is an indication of your pores being opened. Remove the mask strip completely after 15 minutes and make sure that there is no residue left on the area. The second step involves another strip that is to be placed on your nose. This step is required to remove the blackheads by drawing out dirt and oil from the pores. Keep it intact with the skin for about 15 minutes and then peel it off. All the impurities and dirt will be removed along with the mask strip. To close your pores back, this cooling strip is used as the third and final step. After the first two steps, this step rather calms your skin makes your skin smooth, dirt free and clean again. The three steps are easy and effective to remove the blackheads so test it yourself and experience a blackhead-free, smoother skin within no time. This product uses unique ingredients that ensure promising results with the removal of blackheads. Witch hazel water, peppermint extract, sage extract and zinc PCA are used in the two nose packs which are used in three steps. For step one, you will be required to use the sticky nose strip. Simply make the nose wet and place the strip onto your nose. Make sure that there is no air bubbles between the strip and the nose for better results. Let it dry. It will take about 15 minutes to dry. Now remove the strip gently. You will be able to spot blackheads on the surface of the strip. With the help of the q tip provided to you with the kit, you can clean up your nose of extra any excess or residue left from the first strip. It helps in easily sweeping away the extra dirt and blackheads. Another nose strip is used in the last strip. After cleaning up your nose completely in the first two steps, this step works to tighten up our pores to prevent the dirt from settling in the nose for future. Follow the same steps of placing the strip onto the nose and letting it stay for about 15 minutes. Remove the strip and rinse the nose with water to avoid any residue from staying over it. Using this mask once a week can show effective results very fast. As the name suggests, the main ingredients in this product are black sugar and pure honey extract. Apart from these two ingredients, olive oil, meadowfoam seed oil, grape seed oil and sunflower seed oil are also used. It works as a scrub to exfoliate your skin removing the blackheads along with any other impurities on your skin. It is highly suitable for oily skin for not only removing the blackheads but also improving the skin condition. Wash your skin with a cleanser and let it stay wet. Start applying the scrub onto your face using your fingers. To ensure the best results, rub the scrub on your face in circular motion and continue it for 1 minute or two. After scrubbing thoroughly, leave it on skin for five minutes and rinse it with lukewarm water. It will reveal soft and smooth skin with visible results! Additionally, the smell of the product is also appealing and you can apply it once a week for best results! Clay shows exceptional qualities of removing oil from the pores when applied to the skin. When it comes to skin, Bentonite clay is known to work the best because it contains healing agents that are rich in substancet to improve the skin conditions. When wet, its molecules start to function as the agent to remove the dirt and oil making the skin soft. To prepare, just make a paste out of bentonite clay and water and apply it to the areas with blackheads. Don’t forget to apply thoroughly to the nose and its sides because these are the areas where blackheads are most likely to form. Another tip to remember is that your hands should be cleaned and sterilised before applying the mask to avoid any contact with the skin with the bacteria. Let the mask stay on the skin for 20 to 25 minutes and off with lukewarm water. This is one of the most popular masks and many beauticians recommend it too. It is more of a remedy for tightening the pores, automatically reducing the risk of formation of blackheads. Egg white is popular for its nutritious factors. A thin film of egg white in can be applied to the skin with the help of a tissue paper. Take a thin sheet of tissue paper and spread it over your nose and its surrounding area. Beat the egg white thoroughly and with the help of a brush, start applying a thin layer on the tissue paper. 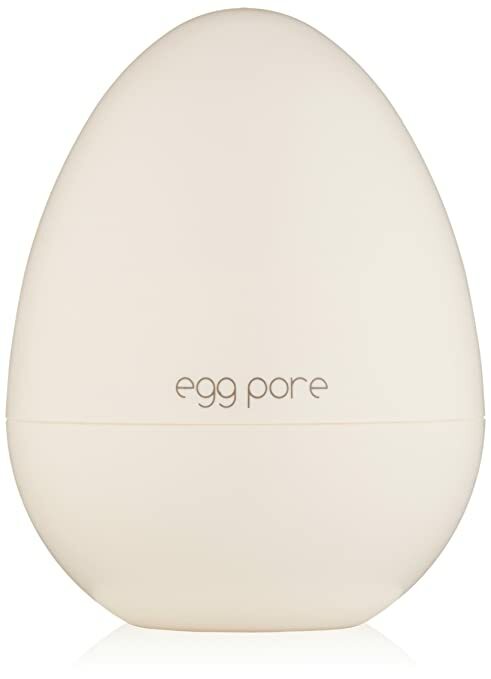 This will keep your skin protected from bacteria while the egg white works to remove your blackheads and tighten your skin. Honey is one of the most common ingredients used in beauty products as well as recommended highly by dermatologists and skin specialists for improving the texture of the skin, making it smooth and soft. While honey is a beneficial ingredient for the overall skin, its combination with milk makes things even better! Milk works in brightening up the skin and making it soft while honey acts as an antibacterial agent, killing the bacteria and germs to keep the pores clean and dirt free. Take equal amounts of pure milk and honey and make a paste out of it. Let it mix well in the microwave for 5 to 10 seconds. Once the paste is consistent and the temperature has cooled off, apply it on your skin and place a thin layer of the clean cotton strip onto it. Leave it for about 20 minutes and gently peel it off once it dries off. Baking soda is the ingredient that needs to be used with extreme care. It can make your skin dry if overused. Baking soda is helpful more because of its form than its chemical properties. The small fine grains of baking soda act as an exfoliating agent removing the bacteria clogging the pores. As a result, blackheads can be prevented. To prepare, you will need baking soda and water. Mix the two things together and form a paste out of it. The consistency should be such that it should be thick, but easy to spread on the skin. Apply it to the skin in circular motions, gently exfoliating it. Continue the action for a minute or two and then rinse it with lukewarm water. Don’t forget to apply a moisturiser after your face dries. Both the ingredients are beneficial for skin in their own properties. However, a mixture of the two shows promising results in the removal of blackhead. Honey being the antibacterial ingredient, pulling out the dirt combined with cinnamon to improve blood circulation and maintain a flow result in a beautiful skin with a prominent glow. The mixture of the two ingredients forms a fine paste. Take equal amounts of both and mix well. Apply the paste onto your nose and the area around it. Make sure that you apply a thin layer of it and then place a thin cotton strip onto it. Press it properly, making sure no air bubbles are formed. Keep it on the skin for 3 to 5 minutes and then gently remove the strip. You will notice a visible difference immediately. Don’t forget to apply a moisturiser after drying your skin with a towel. A moisturiser is important to calm the skin after applying any ingredients onto it. Sometimes, some ingredients may not suit every skin type so to avoid any reactions, moisturisers and toners are used. Easily available: most of the natural remedies include natural ingredients that are easily available at home. There are some basic ingredients which are used with a combination of other secondary ingredients. Moreover, these remedies aim to prepare a paste for the mask so the preparation method is rather easy and anyone can achieve perfection in it within no time! Takes less time: You don’t have to worry about arranging products and taking time out to understand the precise instructions in order to get rid of the blackheads. The formula is simple and you just have to mix the ingredients together and wait for it to start showing results on your skin. Cost effective: The natural ingredients to be used are cost effective as compared to beauty care products. Most of the ingredients include the things that are available in your home on a daily basis. No extra money is spent to for homemade remedies and even if you do need something, it is easily available and low-cost stuff. Natural ingredients: natural ingredients work the best for our skin. It is used in the rawest and pure form with home-made remedies so the results are also extremely effective and if they suit the skin, best results are guaranteed! No side effects: Since the home made remedies don’t involve the use of any chemicals, there is rarely any risk of side effects that can damage your skin. Pure and natural ingredients may or may not suit you but you would hardly ever feel a bad side effect with their use. While there are many advantages of the home made remedies, there are some disadvantages too. Not every ingredient is suitable for all skin types so one has to be very careful in choosing the right ingredient for their skin type. For example, if you have an oily skin then greasy ingredients shouldn’t even be considered as a choice. It may only make things worse for your skin. Likewise, for dry skin, it is recommended to stay away from drying ingredients. Since the ingredients in homemade masks are used in their raw form, they may have a harsh effect on the skin. Depending on the skin type, some ingredients react with unexpected results on the skin. The best Korean blackhead remover products are specially prepared with a strong focus on hydration. Likewise, the nose strips and masks not only work to remove the blackheads but also leave the skin looking fresh and smooth. The best Korean blackhead remover remedies propose multiple steps for removal of blackheads. This means that they don’t only focus on removing the blackhead but also work on preventing them in future. This process is offered by different best Korean blackhead remover kits through which, first the pores are opened then the dirt and oil are drawn out and in the last step, the pores are closed back to not let the dirt settle in. While you might find various skin care products expensive, most of the best Korean blackhead remover strips are affordable and make use of the innovative approach to removing the blackheads. A mix of different ingredients is used to ensure the best results! When you go out the next time to get one of the best Korean blackhead remover products, compare it with other products and you will know the difference. With the best Korean blackhead remover products, you get everything within a single product! You don’t have to worry about gathering different ingredients and then mixing the specified proportions of it. All you have to do is buy the best Korean blackhead remover product and follow the instructions that come with it. Instructions on application and time are all provided with the product. With the best Korean blackhead remover products, you can read many reviews before you make up your mind. You can ask people who have tried and tested it before so that you are confident about using it. There are always reviews and product reviews of the best Korean blackhead remover online. Moreover, the best Korean blackhead remover products have the ingredients mentioned on the box or on the product. So you know exactly what you are going to apply to your skin and make sure beforehand that the ingredients would suit your skin type. Some of the best Korean blackhead remover products may pull out the follicles which expand your pores and let the dirt settle in a large amount. Hair follicles act as a protective layer for the pores. 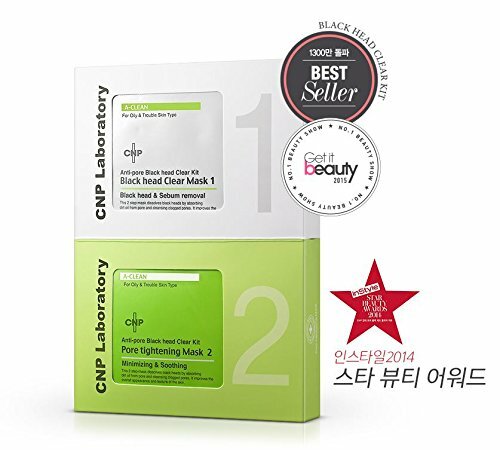 The best Korean blackhead remover strips may damage sensitive skin to some extent. It usually affects thin skin negatively. Sometimes the best Korean blackhead remover strips get stuck hard to your skin and may hurt your skin while peeling it off. The skin on your face is already too sensitive and thin so not every product will prove to be beneficial for it. While the best Korean blackhead remover products are effective on many levels, they may not always provide with a permanent solution. In most of the cases, you will have to keep using it to avail blackhead free skin. But to prevent the blackheads forming I suggest you look into taking up a 10 Step Korean Skin Care Routine. The best Korean blackhead remover products usually recommend you to use them only once a week. So this means that the results you get from its use once a week will be the best it can actually offer. Now that you are aware of everything revolving around blackheads and their treatment, choose carefully the best product or remedy for your skin and enjoy blackhead free skin for as long as you wish! What Is The Best Korean Eye Cream For Dark Circles And Puffiness? As an Amazon Associate I earn from qualifying purchases. As such, any purchase you make from my website will earn me a small fee. This helps to keep my website running so that I can continue sharing info with all of you and hopefully changing lives. Additionally, KoreanSkinCareRoutine.com participates in various other affiliate programs, and we sometimes get a commission through purchases made through our links.